We’re being led by politically correct imbeciles. 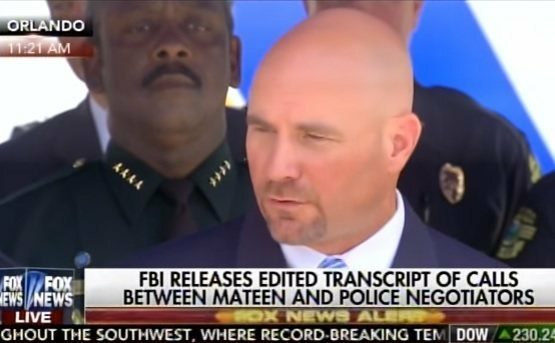 The FBI held a press conference today on the Islamist massacre at the Pulse nightclub last weekend. Muslim Omar Mateen slaughtered 49 innocents at an Orlando gay club. Reporter: What good does it do to redact all references of ISIS? FBI Special Agent Ronald Hopper: Part of the process is meant to not give credence to individuals who have done terrorist acts in the past. We’re not going to propagate their rhetoric, their violent rhetoric. And we’ve seen no value in putting those individual’s names back out there. We’re trying to prevent future acts from happening again. For cowards like this one, people like that influence them so we’re not going to continue to put those names out front.